Rhadika is a delightful little girl of 4 years old who comes from a poor and low caste family in the Janakpur area. The family has a tiny piece of land which they share with Radhika’s dad’s brother. Rhadika’s dad went abroad to work for some time to improve the family situation but had to come home unexpectedly when his son was diagnosed with cancer. The treatment quickly used his earnings up, but the son did get better. Dad now works as a labourer for surrounding farms. About 18 months ago Rhadika suffered from a prolonged fever and then developed a chronic ulcer on her back. There was no money for treatment and her physical condition deteriorated until she started to be bent over and unable to straighten her back. 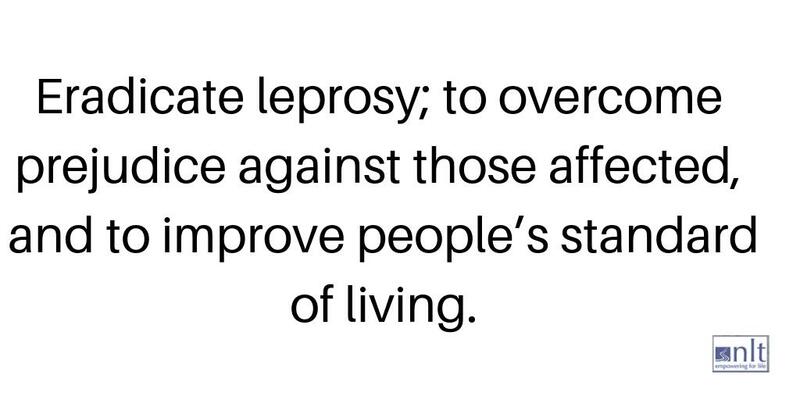 Friends suggested the family go for help to the nearby leprosy Self Help Group established by NLT, and in desperation the family visited the group, received a warm welcome, and became group members. When the group heard about Rhadika, they recommended that the family should visit the NLT centre at Lalgadh for help with Rhadika’s ulcer and so they did. Disease – which has attacked and eroded three of Radhika’s vertebrae, causing them to collapse. This is why she can only walk in a very bent-over condition. Rhadika was also very unwell due to the TB infection and so she spent several weeks as an in-patient, taking TB medicine. 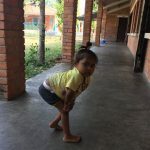 She is now quite a bit better and on 17th April the team at Lalgadh took her and her mum to the Children’s Disability Hospital In Banepa, Kathmandu, for an assessment for potential surgery. The hospital can do the surgery but the TB must be completely healed first, and so Rhadika will be taking TB treament for some time yet. 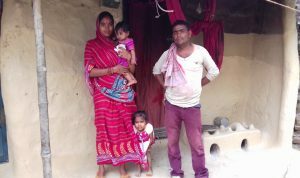 The great news is that, after 18 months of illness and worry, with no apparent way of getting help, this little family was recommended to go to one of our Self Help Groups, and found the help they needed. 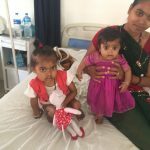 With future surgery from the hospital at Banepa, and lots of help from our team at Lalgadh, Radhika’s prospects look much better, although her journey back to health and normality will not be an easy one. 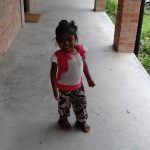 Please consider supporting Radhika with a gift that can be used towards her medical treatment and physiotherapy costs. In May, while in Kathmandu being investigated at the Hospital and Rehabilitation Centre for Disabled Children (HRDC), Radhika became very unwell and had problems breathing. She was referred to Dhulikel Hospital where it transpired that she had pneumonia, and was in intensive care for 2 days and then in a general ward for a week. She recovered well and then moved back to HRDC where she continues to be treated for her spinal TB and has also had some physiotherapy which has really helped her to walk better, even without an operation.